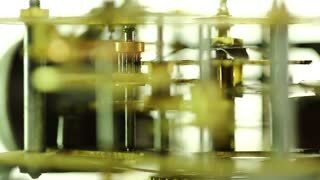 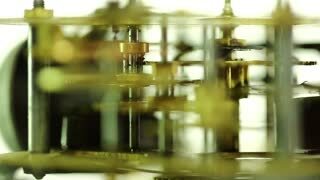 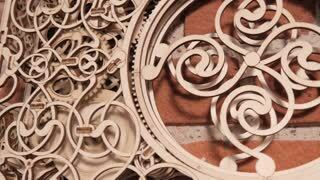 Close Up Clock Mechanism in Slow Motion. 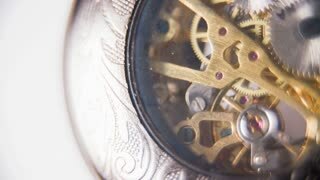 Analogue pocket watch slow motion ticking mechanism on white background macro. 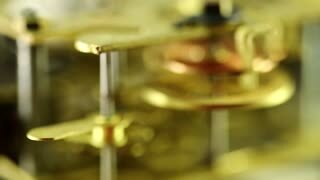 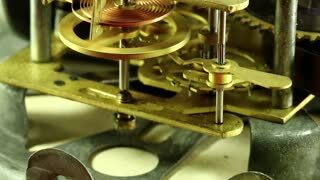 Clock Mechanism in Vintage Pocket Watch in Slow Motion. 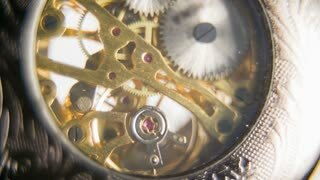 Analogue pocket watch slow motion ticking mechanism on white background macro. 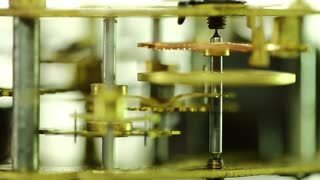 Moving Mechanism of Clock in Slow motion. 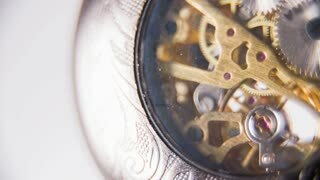 Analogue pocket watch slow motion ticking mechanism on white background macro. 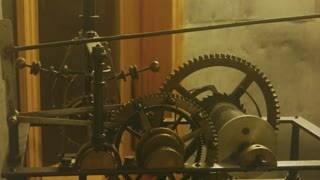 Mechanism of an old clock. 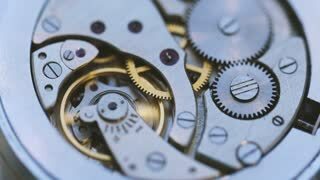 Gears and pendulum, motion.